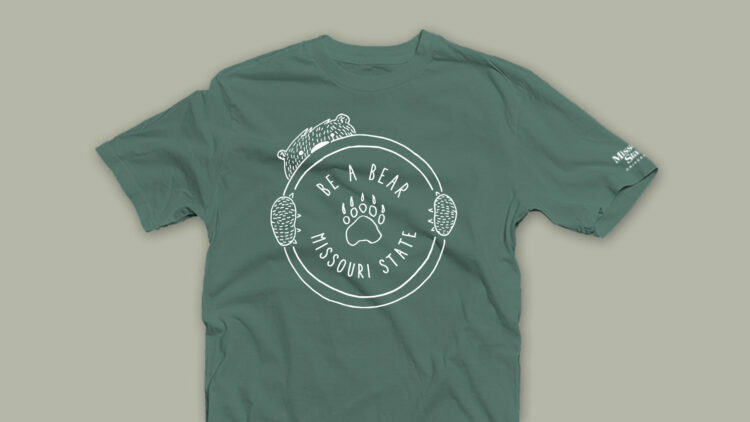 Inspired by the community she has found at Missouri State, Jenna made a design that she hopes every Bear will enjoy. In all aspects of her life, Jenna Kincy has searched for a sense of community. 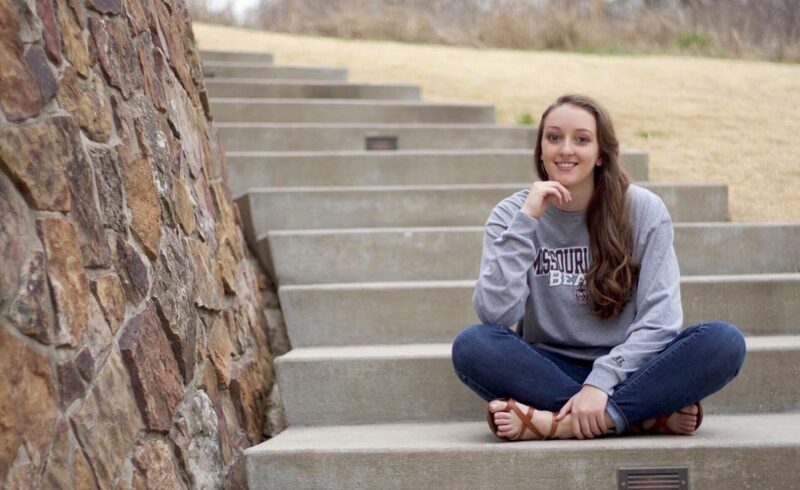 Being the only one from her hometown in Arkansas, she found her community at Missouri State University. Now, a senior in the graphic design program, Kincy completed a T-shirt design for one of her class assignments. To her surprise, her design is now one of the finalists for the 2019 Be A Bear T-shirt contest. Working for the bookstore previously, Kincy had a grasp on what type of clothing was typically sold. She decided she wanted to do something different. Kincy’s design is completely hand-drawn instead of computerized. She made sure to stick to her design style of simplicity while creating the T-shirt. While making her T-shirt, she kept in mind the feeling of the university. Not knowing anyone when she first came to Missouri State, Kincy is forever thankful she found a family-like atmosphere within this school. “There is always going to be somebody at Missouri State whether that be in my art department, at my campus ministry, or any of my teachers that I feel like will always have my back and be willing to listen.” Kincy said. Kincy is no stranger to working on professional projects. Over the past summer, she worked as an intern for Sporting Kansas City. During her internship, she created her proudest work of art; a mural that covers the tunnel where the players are before they walk on the field. She found her community at Missouri State and she hopes to find that in her career also. After graduation, Kincy will search for a position as an in-house designer for a company. This would allow her to be familiar with their particular brand and message. “I want to do that because you feel like you are a part of a family and you understand who you are working for and what you are working for.” Kincy explained. This year three designs were chosen and now, it’s up to you, the student body to decide which one you want. Voting begins February 11 at 8 a.m. and will close at 5 p.m. on Tuesday, February 12th.